I was doing my usual cruise around the internet when something stopped my mouse hand dead. 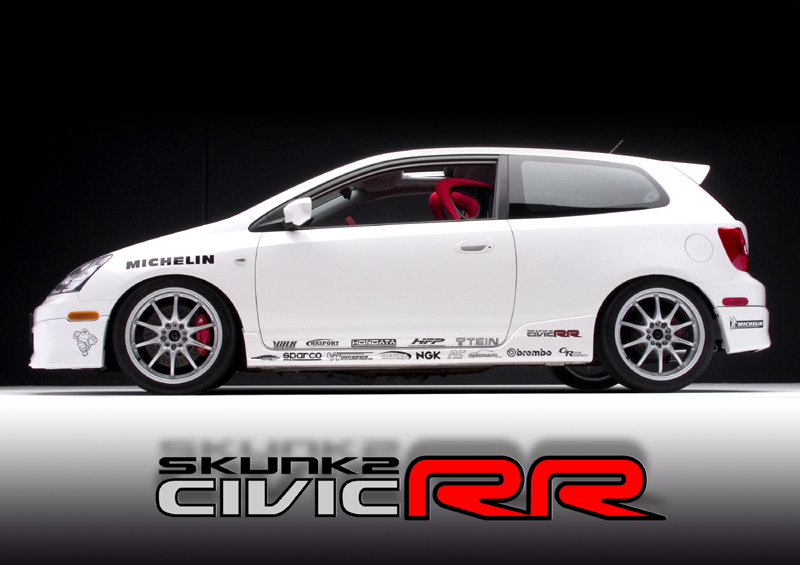 It looks like Skunk2 is selling their EP3 project car. I’m not a huge Honda guy but this is seriously one of the cleanest “spo-com” Civics around and it practically has the entire Skunk2 EP3 parts list under the hood. The best part is that they’re only asking $17,000! For roughly half the price of the “Mugen” (heh..yeah right) Civic sedan you could have an EP3 with 83 more horses and 50 more ft-lbs of torque plus a ton of other stuff that makes it way cooler. If I had a spare 17 grand I’d be all over this!